Dr. Thind offers a wide range of treatment options for children’s dental care in Hamilton, NJ and East Orange, NJ and for those in the surrounding cites of Newark, Trenton, Bordentown, and Robbinsville. With expertise and training in kids and children’s dentistry, Dr. Thind knows how to best treat children in ways that make them feel comfortable and safe. 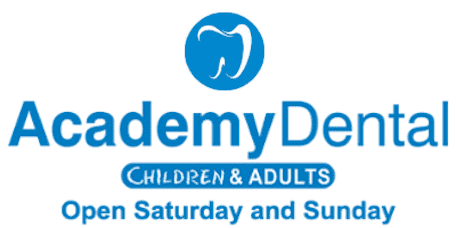 What is Kids and Children’s Dentistry? Children have different needs from adults due to the development of their teeth. A pediatric dentist takes additional training to focus on the development of young teeth and the oral health of children from infancy through the teen years. Pediatric dentists also specialize in dealing with anxiety and fear specific to children and in child dental sedation. What is the Best Time to Start Treatment? Tooth decay is the most common dental problem among children in the United States. The American Academy of Pediatrics recommend starting regular dental visits by age one, or when the first tooth appears. Early checkups help prevent cavities, tooth decay, and can catch potentially bigger problems before they start. Pediatric dentists provide early screening for bite and alignment issues which may need orthodontic treatment in the future. The sooner children begin getting regular dental checkups, the healthier their mouths will be as adults. When Should I Start Cleaning a Baby’s Teeth and How? The mouth and gums of infants should be kept clean from birth. It essential that at the first signs of baby teeth coming through you begin good oral hygiene practices and cleaning your baby’s teeth. Using a soft cloth with warm water gently clean teeth and gums. A small toothbrush with soft bristles can be used as more teeth present themselves. Ask your pediatric dentist which toothpaste would be best. It is important to prevent early tooth decay so be vigilant with the cleaning of your baby’s teeth. What Else Can I Do to Take Good Care of My Child’s Dental Health? Teach children proper brushing techniques. Replace your child’s toothbrush every 3-4 months. Schedule regular dental checkups every 6 months. Help or teach children to brush their teeth at least two times a day and to floss daily.